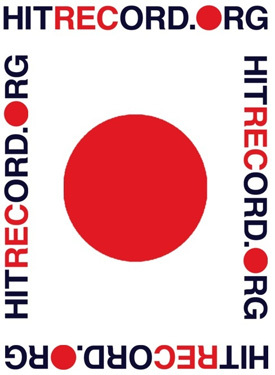 HITRECORD.ORG is a project started over five years ago now by actor and artist, Joseph Gordon-Levitt. In 2010, it evolved into a professional open collaborative production company. Members create and develop art and media collaboratively. So rather than just exhibiting and admiring artwork as isolated individuals, members gather to collectively work on projects together. Videos, writing, photography, music, anything -- they are all called RECords. Now and then, when Gordo-Levitt thinks something turns out especially well, he approaches the traditional entertainment industry to turn the work into money-making productions. Any profits are then shared with the contributing artists. (except contributing and featured artists retain copyright to their artwork, of course).